Australian mosquitoes discovered in California: What does it mean? The movement of mosquitoes around the world is more likely to drive the spread of mosquito-borne disease outbreaks than a changing climate. Health authorities received yet another reminder of how easily pest mosquitoes can move about with human activity. They can sneak in and set up home before we even know they’re there. Mosquitoes deserve more credit. We’re impressed with the adaptation of birds, fish and frogs to narrow ecological niches or extreme environments. How about showing the same respect for these insects that have left behind their life in tree holes or leaf axils and moved into our cities. They’ve switched tastes from primates to people and their pets. They may only fly short distances but we help move them around the world with increasing frequency accompanying globalisation and discounted airfares. Long before planes made the planet a much smaller place, we were already moving mosquitoes massive distances. It could probably be argued that the brown house mosquito, Culex quinquefasciatus, first came to Australia in water filled barrels with the first fleet and the movement of the Yellow Fever mosquito, Aedes aegypti, and associated pathogens from the Caribbean to Philadelphia and triggered a catastrophic outbreak of disease in 1793. In more recent times, the spread of the Asian tiger mosquito, Aedes albopictus, has been well documented and has raised concerns amongst international health authorities with regard to outbreaks of disease caused by dengue and chikungunya viruses. This was a great example of international collaboration. There was also little doubt that without the availability of high quality photographs we wouldn’t have been able to offer such a rapid identification. Not so long ago we would have had to ship specimens back and forth to confirm identification. Apart from questions regarding how this mosquito made it half way around the world, the critical issue now is to assess what pest or public health risk this mosquitoes poses to Los Angeles, California and North America more generally. Aedes notoscriptus (commonly referred to as the ‘backyard mosquito’) is widespread in Australia. From the cold climates of Tasmania to the tropical north of the country. The mosquito is also found in New Zealand, Western Pacific and Indonesia. The mosquito is closely associated with urban areas. Eggs are laid in a wide range of natural and artificial water-holding containers. There are very few Australian’s who haven’t been bitten by this mosquito. It is a constant companion at summer BBQs and is considered a nuisance-biting pest, mostly biting in the afternoon and early evening. However, it does have broad tastes when it comes to blood feeding. The abundance of this mosquito is relatively low compared to some of our “wetland” mosquitoes (such as Aedes vigilax and Culex annulirostris) and the mosquito doesn’t fly far, generally less than 200m. The low natural dispersal of the mosquito is thought to have contributed to the emergence of subpopulations in some regions of Australia. More recent studies have found that phylogenetic analyses of DNA sequence data from mitochondrial markers indicate the mosquito is a complex of divergent genetic lineages, some geographically restricted, others widespread. There is, however, no doubt assisted movement of mosquitoes is also occurring around the country. As with any container-inhabiting mosquito, human movement will drive the spread of this mosquito in North America. From a public health persepctive, Aedes notoscriptus is a less significant nuisance-biting pest than Aedes albopictus and Aedes aegypti. However, it is a vector of arboviruses and parasites. Aedes notoscriptus is an effective vector of Ross River and Barmah Forest viruses. A range arboviruses have also been isolated from field collected specimens in many parts of the country and the mosquito has been implicated in Ross River virus transmission in major cities including Sydney and Brisbane. Neither Ross River virus or Barmah Forest virus are known to exist in California. Fortunately, the mosquito is generally not considered an effective vector of dengue viruses, West Nile virus, Yellow Fever virus or, chikungunya virus but it has been shown to be susceptible to Rift Valley fever virus. Aedes notoscriptus is an effective vector of dog heartworm, Dirofilaria immitis. We may never know. Mosquitoes can be moved about in lots of different ways, from cargo holds in aircraft and ships to baggage and belongings of individuals. Industrial, mining and agricultural equipment may provide a route of movement too. Given that established populations have been discovered, it may be more likely that personal belongings may have been moved to California from Australia or New Zealand with travellers or family relocating for work. Perhaps surveys of the local community, combined with genetic analysis of the specimens will help answer this question. The take home message for local authorities, both in California and Australia, is that the mosquito did make the trip, slipped through the cracks of quarantine and become established. While this introduction may not pose a significant impact to California, the introduction of Aedes albopictus to Australia could have far more substantial impacts. If we can export our mosquitoes, we should remain vigilant of the potential for exotic mosquitoes to find their way to us from Asia, Europe or the Americas. There are already strategies in place for the surveillance and control of container-inhabiting mosquitoes in California. These strategies would prove effective in tracking and controlling Aedes notoscriptus. The one advantage authorities have is that Aedes notoscriptus is readily collected in carbon dioxide baited light traps whereas Aedes albopictus and Aedes aegypti are generally not collected as often by these traps. In summary, the mosquito should not be considered a major pest or public health risk. The priority for local authorities should remain the other container-inhabiting species such as Aedes albopictus and Aedes aegypti. Notwithstanding these species, other mosquitoes associated with urban environments, particularly Culex spp., are currently playing an important role in one of the largest outbreaks of West Nile virus. In fact, the “proportion of mosquitoes infected with West Nile virus is at the highest level ever detected in California“. Californian authorities have enough on their plate without the extra worry of an Australian hitchhiker turning up and moving in! The wonderful photo of Aedes notoscriptus at the top of this post is provided by Jared Dever, Direcror of Communications, at Orange County Vector Control District. What can the outbreak of dengue in Japan tell us about future mosquito-borne disease risk? 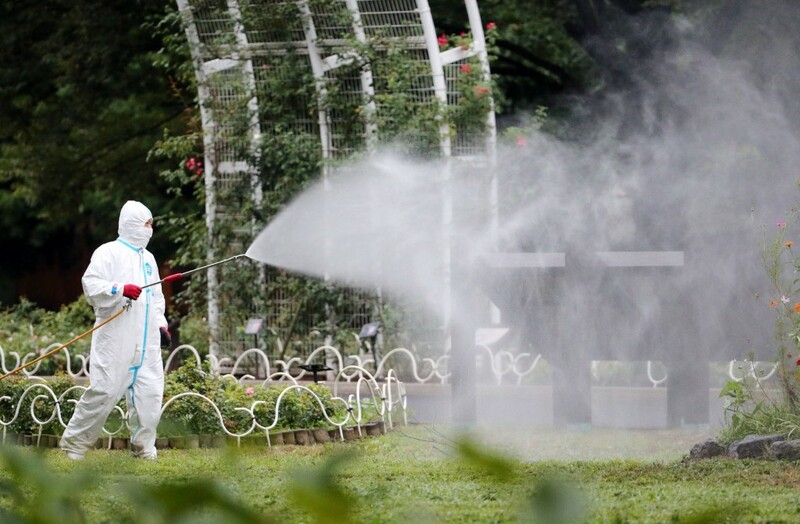 Considered free of dengue for around 70 years, Japan is now facing an outbreak of mosquito-borne dengue virus centered around a popular Tokyo city park. How could this happen? Dengue is typically associated with tropical regions. However, outbreaks of dengue have occurred in temperate regions historically. That includes major outbreaks in Japan. In fact, dengue has been a notifiable disease in Japan since 1999; regulated by the Infectious Disease Control Law. The last major outbreak was in 1942-1945. Breaking out in Nagasaki in August 1942, over 200,000 cases were suspected to have occurred, making it one of the largest temperate zone dengue outbreaks on record. It is interesting that, at the time, there was an extensive network of water tanks to enable response to fires triggered by bombing during the war. These tanks supported “innumerable” populations of the Asian Tiger Mosquito, Aedes albopictus. Also contributing to the problem was an inability to undertake large-scale insecticide applications at the time. Then, for around 70 years, dengue disappeared. Until 2014. 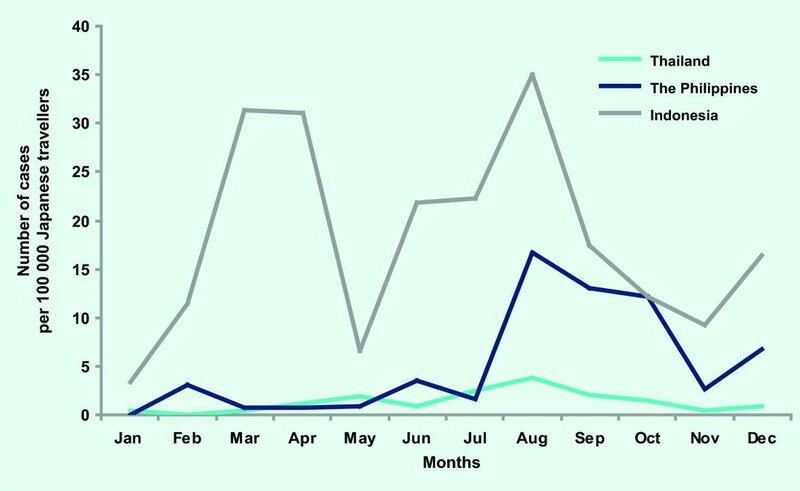 The first case of dengue in this current outbreak was reported at the end of August 2014 but in the space of a week or so, many more cases were identified. To date (9 October 2014) there has been a total of 151 confirmed locally acquired cases of dengue (this includes an Australian traveller). The majority to these cases have been centred around the popular Yoyogi Park in Tokyo. [update 1 November 2014] Tokyo’s Yoyogi Park finally reopened after the outbreak was first detected but it was closed for 57 days. As well as a serious inconvenience to the people of Tokyo, there is little doubt this has had a substantial economic impact on the city. It would be fascinating to know if the outbreak impacted tourism. [update 5 December 2014] A newly published paper reports on the molecular analysis of isolates of dengue virus from 19 confirmed cases of infection from Tokyo. The analysis showed that the outbreak was triggered by a single incursion of dengue virus type 1 (DENV-1) and that analysis of the envelope protein genome sequence from 3 patients revealed 100% identity with the strain from the first patient. Some of the media coverage has focused in the role that climate change may have played on triggering this outbreak. However, the outbreak is not the result of a changing climate. International travel and a cool climate tolerant mosquito are to blame. Perhaps complacency regarding the risks associated with this mosquito predisposed the region to this outbreak too? 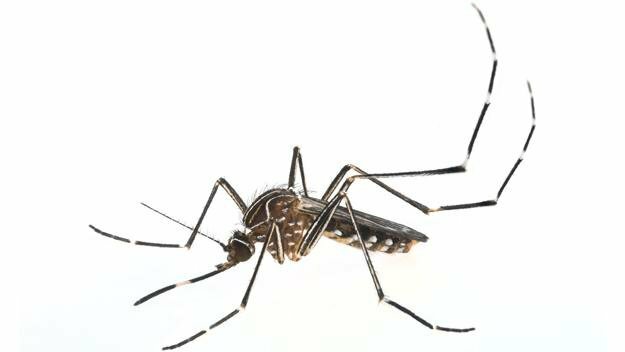 The Asian Tiger Mosquito, Aedes albopictus, is a cool climate tolerant mosquito closely associated with water holding containers in urban environments. The mosquito is a severe nuisance-biting pest and second only to the Yellow Fever Mosquito (Aedes aegypti) in its importance in transmitting dengue virus. It is also very effective at transmitting chikungunya viruses. The expanding range of Aedes albopictus internationally is of critical importance to outbreaks of the disease. It is raising concerns regarding the transmission of chikungunya virus in North America this year. Aedes albopictus provided the tinder that an infected traveller ignited to kick off this dengue outbreak. There were warnings this was coming. Much of the media coverage has emphasised that this is the first local outbreak of dengue in 70 years. In fact, there was an intriguing case last year that should have put local authorities on notice. In January 2014 there was news that a German tourist had contracted dengue. In Japan. In a published case report, a woman sought treatment in a hospital in Berlin, Germany, in after returning from two weeks of travel in August-September 2013 to Honshu Island, Japan. Her travel route was via Frankfurt International Airport to Tokyo Narita International Airport and return. She did not visit any regions considered to have endemic dengue activity. The authors note that this case was “the first recognised case of locally acquired dengue (DENV) infection in Japan for more than 60 years”. Following this reported case, authorities undertook surveys that revealed high population densities of Aedes albopictus within the urban areas of Japan. It is interesting to note that, despite using a surveillance method that is typically not effective at collecting Aedes albopictus (carbon dioxide baited light traps), some of the largest densities of mosquitoes were collected from Tokyo. 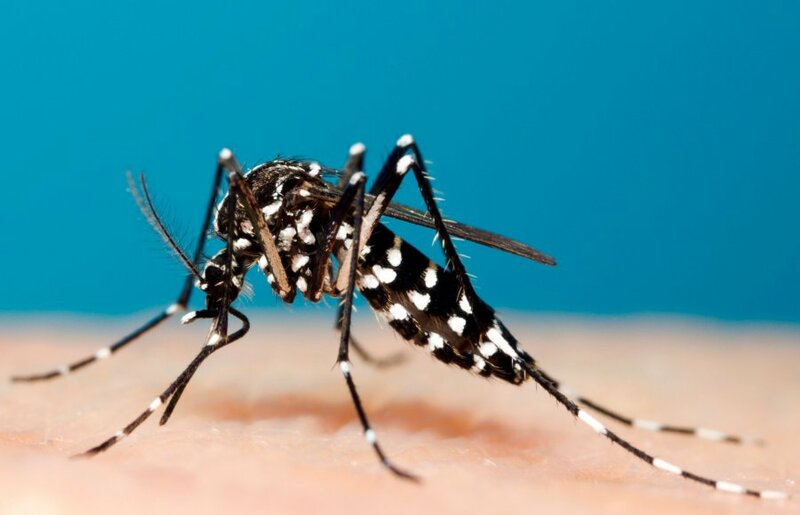 Interestingly, a 2010 study into the blood feeding behaviour of Aedes albopictus in Japan showed that over 68% of mammalian blood meals identified were human and the authors concluded that the mosquito may play a role in outbreaks of dengue and chikungunya viruses. I cannot find any reports of mosquito control, either source reduction or insecticide treatment, were undertaken in response to these findings. There are clearly some warnings that authorities, both in Japan and elsewhere, should take from this event. Most importantly, the presence of Aedes albopictus should not be underestimated in increasing the risk of local dengue outbreaks. While the published report of the dengue infection in the German tourist prompted debate (see here and here) about the future of local dengue outbreaks in Japan, it is clear now that where Aedes albopictus occurs, so does the risk of dengue. Control of this mosquito should be undertaken, not only to reduce the nuisance-biting impacts but to also reduce public health risk. Clearly, August and September seem to be a high risk period around Tokyo. Australian authorities should take note of what has happened in Japan. While understanding the routes of entry of Aedes albopictus into new regions is critical, developing strategic surveillance and control responses to the introduction of the mosquito are of equal importance. Since the discovery of Aedes albopictus in the Torres Strait in 2005, there has been much debate, together with data crunching and computer modelling, with regard to the possible spread of the mosquito across the mainland. There is evidence that the mosquito can survive at cooler climates in Australia and can spread some of our local pathogens. 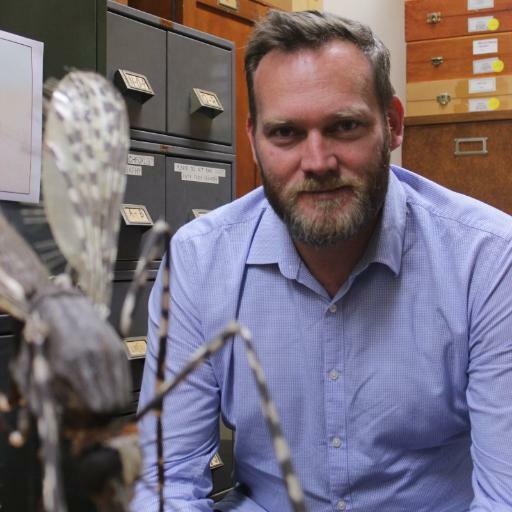 What will it mean for Australia to have a severe nuisance-biting pest and potential vector of dengue and chikungunya viruses inhabiting our major cities such as Brisbane, Sydney, Melbourne and Perth? We should be mindful that this mosquito may not naturally spread south from the north, it may sneak in through the back door. It already has. The mosquito was discovered, and fortunately eradicated, from Melbourne in 2012. Exotic mosquitoes continue to be intercepted at our ports. Perhaps we can’t stop Aedes albopictus reaching mainland Australia. Efforts continue to keep the mosquitoes at bay but, in reality, we may be overwhelmed. We cannot fill enough cracks to stop them slipping through. What we need are strategic responses to the incursions of the mosquito. Authorities need to build capacity for quick response surveillance and control. Traps and insecticides are cheap, expertise on the ground by those responsible for catching and killing the mosquitoes is not. The traps and control measures currently used to control pest mosquitoes associated with wetlands will not be easily be transferable to the control of container-inhabiting mosquitoes. We need to review our approaches to mosquito control should Aedes albopictus be introduced. Time may be on our side for the moment but for how long? Will we one day see outbreaks of dengue in Sydney’s Centennial Park?